Annexe Communities was founded to help create healthier people and communities in Glasgow and the communities that surround the city. The organisation works continuously to engage with local people and to maintain its position as a leading provider of cost-effective wellbeing initiatives resulting in fitter, more resilient and more active communities. 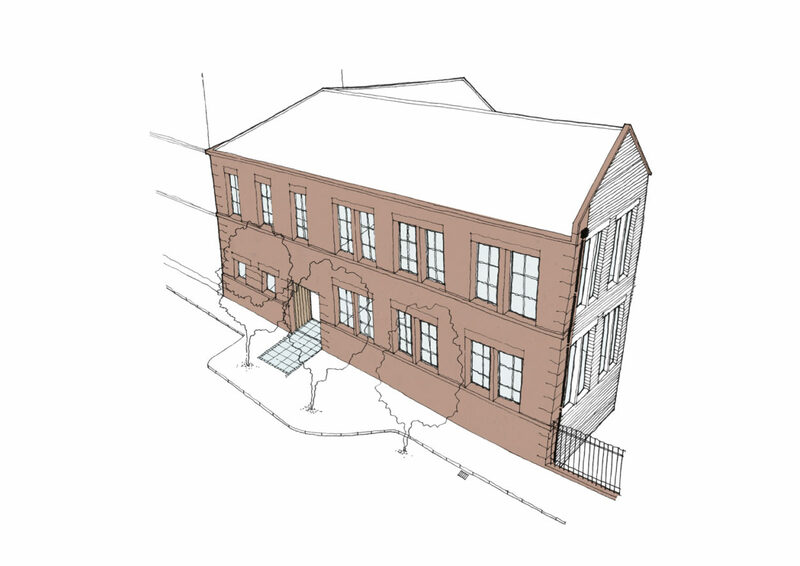 Annexe Communities is located in Partick within a 1930's science annexe to a former primary school. The Annexe provides accommodation and facilities for a diverse range of activities to take place for a wide range of ages. 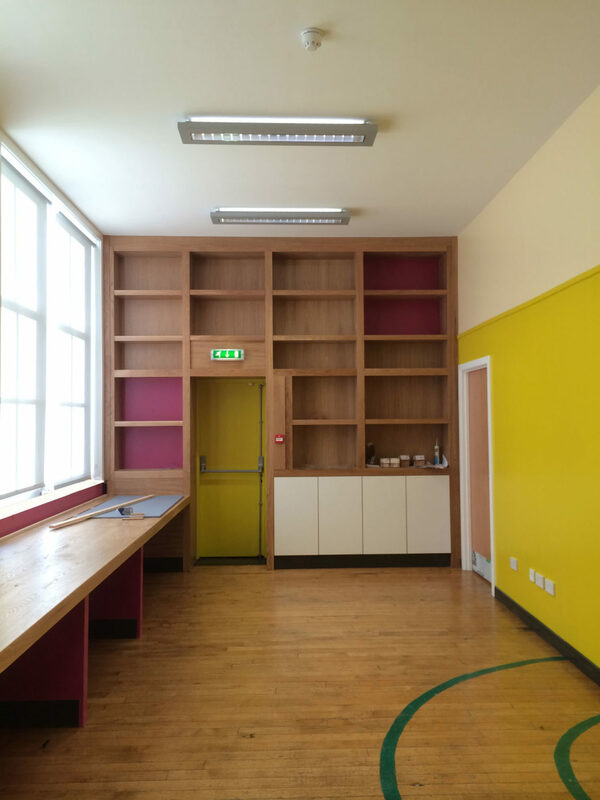 Groups range from the parent and toddler group, to the Partick Senior Forum, and cover such areas as adult literacy and drumming, through to music and cultural events. 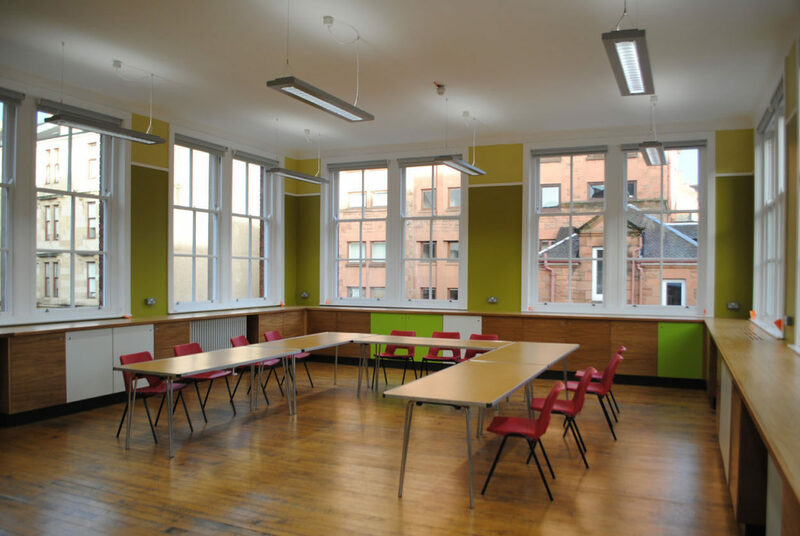 The ground floor café also provides a base for a variety of community focused groups to meet together, but also to draws people into the Annexe in the first instance, as a first step towards engaging in the range of activities and groups that are available. 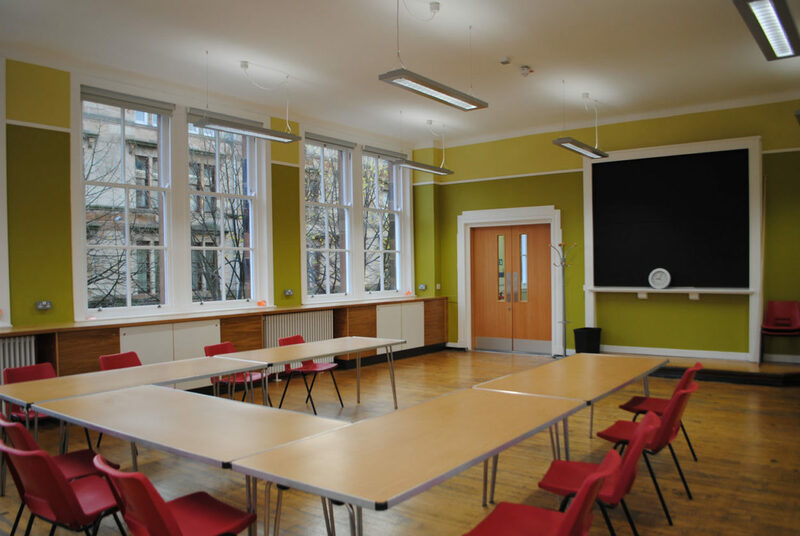 In carrying out the first floor renovation and remodelling works, Collective Architecture have been careful to respect the character of the building and to ensure that this is retained. 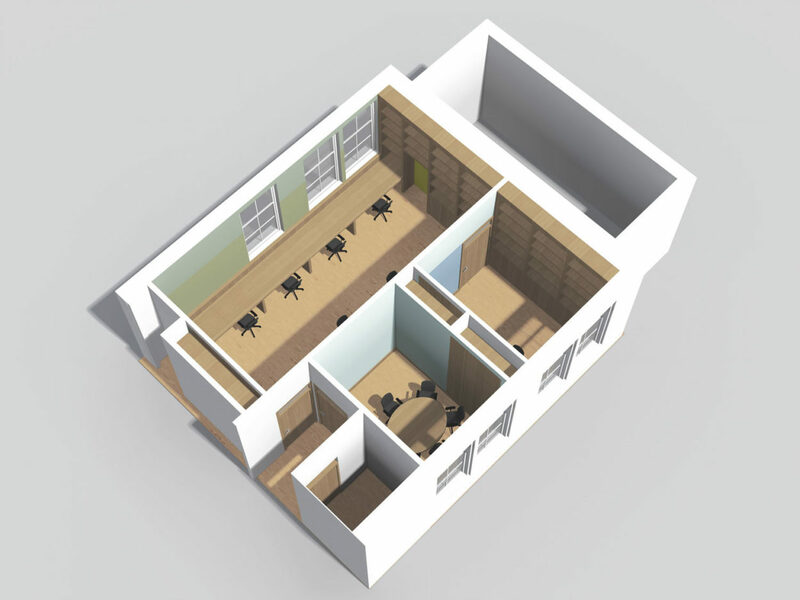 The new works have allowed for the re-arrangement of the facilities at first floor level, with the creation of larger offices and a meeting room with natural daylight created from a larger classroom space. The two former cramped internal offices have been redesigned as smaller more personal therapy spaces which borrow light from adjacent circulation spaces. A much needed staff kitchen and wc have also been provided, together with large amounts of high quality storage and shelving throughout. Importantly a strong colour palette has been retained in the new spaces in keeping with the Annexe that people know and love. 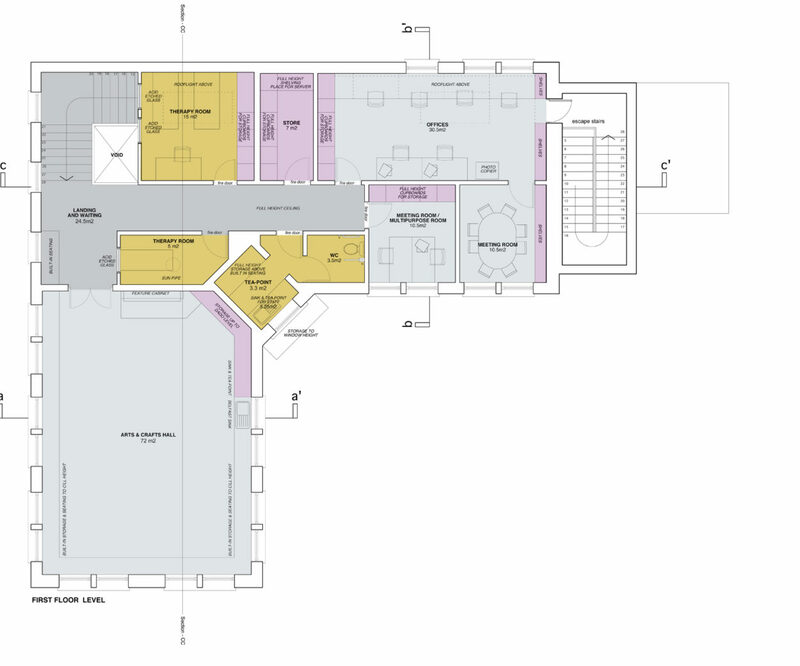 Now that Phase 1 is complete, proposals are being drawn up to continue with the ground floor refurbishment to complete the Annexe's renovation.